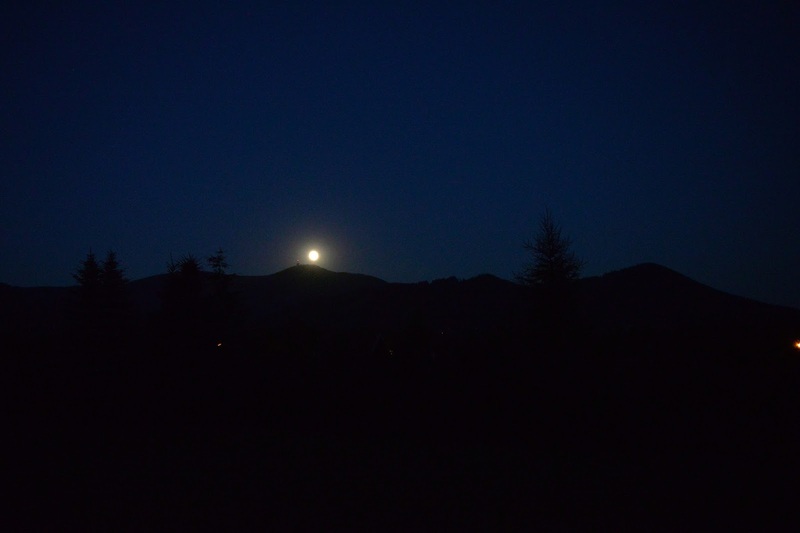 Last week, on a hot and muggy night, I stepped out onto our patio and found the moon just beginning to rise over Lysa Hora. 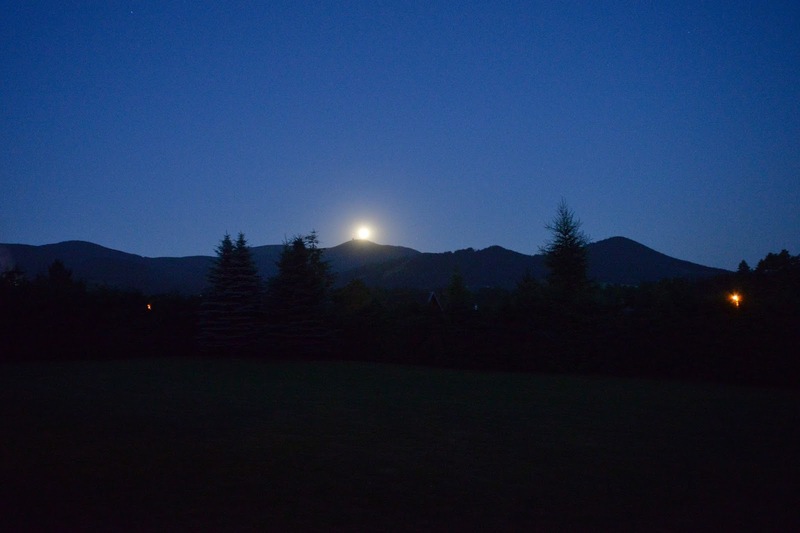 Within a few minutes the sky darkened, and the full moon sat right above the tip of the mountain. I kept clicking pictures hoping that somehow I'd capture that amazing sight! Over the next few days the weather changed dramatically, going from the low 90's, down to the low 40's with rain and clouds socking us in. As I've said before, that's July in this part of the world! But give it a few more days, and it all changes again. I've been thinking about this for days as I've been in touch with various friends around the world who are in life situations that mirror my view of the mountains. Some are in the darkest of night, in pain and suffering. Others are experiencing sadness and trials, mirroring the rainy days. And then there are some who are in life's sweetest moments right now, at a pause in life where it is not trouble free, but where it's happy and full of joy. All of those kinds of days are part of life, aren't they? When you're in the dark or rainy days, it feels like they'll never end. And sometimes on the sunny days, you're ready for a change. So too with life. No matter where you're at today, God's right there with you. He will never leave you, never let you down, and will always lead you through the changes along the way. And wherever you are...it won't be for ever!